Da Capo Intrada - Training enthält ergänzende Übungen und Beispiele in Notenlehre, Instrumentenkunde und Gehörbildung (zu Band 1). Publisher W. W. Norton & Co.
Much more than just dull theory! 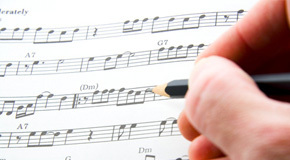 - our large selection of practice-oriented specialist literature offers you - whether amateur musician or professional - a number of books on general music theory and harmony, from classical and jazz to rock / pop, rhythm, ear training, sight reading, improvisation, arranging for small and large instrumental line-ups, composition and conducting.